Many of us have apprehension when going to the doctor’s office. Keep that needle away from me! Is that really my diagnosis? How would you feel if a computer helped treat you? Enter IBM Watson, challenging AI as we know it today. We know you’re curious about just how “smart” and powerful a $3 million computer can actually be. In this post, we’ll lay out some basics about IBM Watson’s forays into medical diagnosis. We like to view doctors as all-knowing, infallible medical practitioners, and for the most part, that’s what they’ve been. But why not make them better? That’s what IBM’s trying to do with their supercomputer Watson. 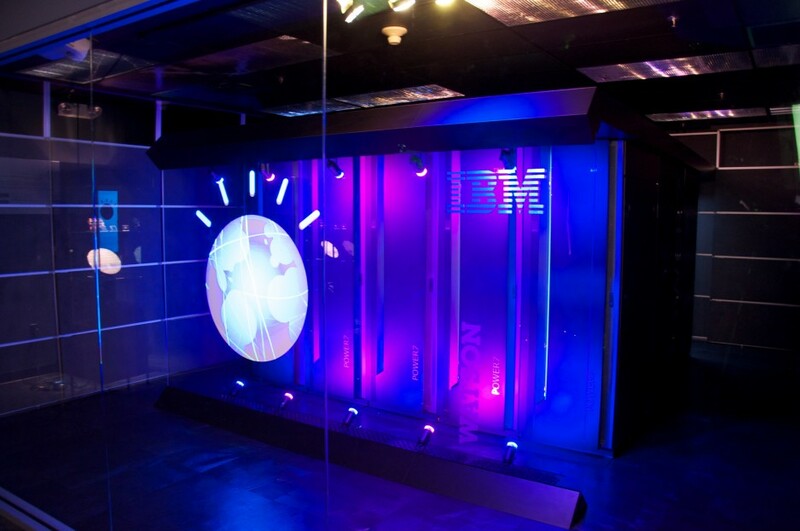 IBM Watson first burst into the mainstream spotlight after a dominating Jeopardy! performance in 2011–there’s no way you can read that and not want to see the video clip of it. Since Watson’s Jeopardy! days, IBM’s scientists have turned their attention towards the field of medicine. Doctors, like all other humans, are limited by a myriad of factors. They’re proud, can’t recall every single disease discovered, and most frighteningly, often misdiagnose some of the more complicated and uncommon diseases. IBM Watson looks to bridge this gap between diagnosis and disaster. While “enrolled” at Columbia’s Medical School in 2011, IBM scientists began uploading millions of peer-reviewed medical journals to its database. This uploading process has been active for over five years now. No human doctor could ever hope to accumulate this much medical knowledge in one lifetime. At the end of the day, we are only human, and some knowledge and pattern recognition falls through the cracks. Watson has the unique advantage of being able to sort through and analyze an ever-growing database of medical information. In cases where the correct diagnosis is crucial to treatment (and survival), time is of the essence. Instead of “guessing and checking,” Watson runs millions of calculations and searches its immense databases to vastly reduce the risk of misdiagnosis. Just recently, Watson diagnosed a rare form of leukemia that had stumped doctors for several months. Think that’s amazing? Watson completed the diagnosis in 10 minutes after sifting through roughly 20 million cancer diagnosis papers. 20 million papers in 10 minutes. Clearly, Watson is a great skim-reader. While doctors have to rely on a mixture of their prior experiences, training, and gut intuition, Watson takes out these “human” factors, looking strictly at the facts. In doing so, Watson is able to consistently give the correct diagnosis that many doctors may overlook. Also, Watson scanning its database is far less invasive than the myriad of tests doctors often run on their patients. How Wrong Can Doctors Be? A lot. An unnerving amount, actually. According to one report by CBS News, an astounding 12 million Americans are misdiagnosed each year. That’s 1 in 20 adult patients, with about half of those misdiagnoses resulting in serious harm. In case you’re struggling with the math, that’s six million Americans each year seriously harmed by misdiagnoses. That means six million people are being treated for the wrong disease. Six million people aren’t getting the correct treatment they need; in fact, they’re being treated for something totally different. The above figures are not meant to say that doctors are careless. But–and here’s where Watson can make a huge difference–humans have emotions. Computers don’t. Once a doctor diagnoses a patient, he/she is emotionally invested in two ways. The doctor wants to treat and save the patient, another human. No doctor wants to be associated with the wrong diagnosis after years of training and medical school. Do we riot and fire all doctors, instead installing computers in every hospital room? There are things that doctors do much better than a computer can, such as bedside manner. Right now, IBM Watson is nothing more than a tool for doctors to use. By spending less time on diagnosis, doctors can focus and prioritize other things, such as seeing more patients or following up more frequently. Going forward, Watson will not only act as a bridge between doctor and diagnoses, but between patients and the medical community. Watson’s computing capabilities make it a great diagnostic tool that can routinely be updated with new information. With its deep learning abilities, Watson’s going to be able to pick out the nuances of future diseases with more regularity and precision. While Watson is an amazing resource, that’s all it is. A resource. A tool for doctors and physicians. While the future is promising, IBM still has a long way to go before your primary physician is an AI supercomputer.